​How do you want to connect? Text, App, or E-Mail or pick all 3 and never miss a deal! 2. 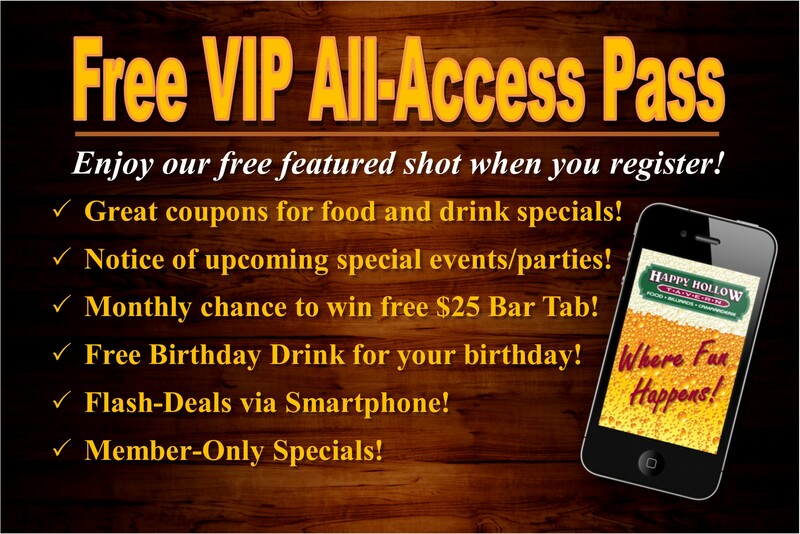 App: Get the "Happy Hollow Tavern" app from your app store. 3. E-Mail: Register at HollowVIP.com.